The Barracuda Championship has for seventeen years been the alternate event to the WGC Bridgestone Invitational (WGC-NEC), and for one year, to the Open Championship. As an alternate event, the winner does not earn a Masters Tournament invitation. but does earn 24 OWGR points, 300 FedEx Cup points, a two-year tour exemption, and entry to the PGA Championship. 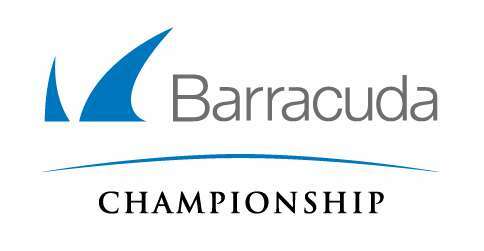 In 2016, as a consequence of the cancellation of the Greenbrier Classic, the Barracuda Championship will award entry to the 2016 Open Championship to the leading non-exempt player. The tournament is played at the Montrêux Golf and Country Club, located midway between Reno and Lake Tahoe, Nevada. Unlike regular golf play, the winner of a Stableford tournament is the one with the MOST points. The advantage of Stableford Scoring is that it encourages aggressive play. Note that the reward for a birdie or better significantly outweigh the penalty for a bogey or worse. The Stableford System last was used on the PGA Tour at the 2006 International. Barracuda is a network security company.